At first glance a huge international trade deal seems far removed from the fear and urgency of a new breast cancer diagnosis. But as the executive director of Breast Cancer Action, I am acutely aware of how the highly contested Trans-Pacific Partnership (TPP) threatens the health and wellbeing of women, including breast cancer patients. As the head of a watchdog organization for the breast cancer movement, I work to ensure that public health and patient interests come before those of big business—and I say no way to secret trade deals that limit access to life-saving treatments. 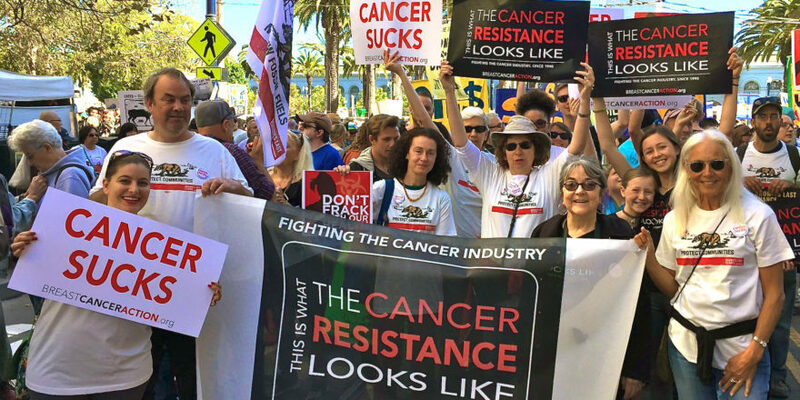 By requiring all participating countries in the TPP to enact automatic market exclusivity periods on many essential medical drugs, including biological therapies used to treat cancer, the TPP puts corporate profit before patients’ lives. Under the TPP, no country would be able to take action within their borders to bring down the cost of treatment by reforming the patent system or reducing the period of exclusivity. It could also limit the U.S. government from negotiating with pharmaceutical companies for lower prices and better reimbursements for patients requiring Medicaid and Medicare. And it would spell disaster for developing countries signing on to the deal. Already the cost of treatment for breast cancer (and other) patients is a critical issue in the U.S. Too many women already experience first-hand the exorbitant cost of cancer drugs in the U.S.: 11 out of the 12 cancer drugs approved by the U.S. Food and Drug Administration (FDA) in 2012 cost more than $100,000 per year. The current U.S. patent system is designed to reward drug companies for introducing new treatments by providing them with a period of exclusivity, during which no other drug company can sell a competing or generic version of that drug. By locking all 12 nations into patents with long exclusivity periods, the TPP removes any chance for participating countries to take action to reduce the cost of breast cancer and other medical treatments. Together, we must take a stand and demand public health comes before corporate profit. Together, we must stand against trade deals which require long-term monopolies on vital medicines. Join us in calling for TPP negotiators to ensure that patients have access to life-saving treatments. Join us in calling for an end to the death sentence clause.